There are places in Palestine that are central in any trip with us. A trip often consists of visiting Jerusalem, Nablus, the Dead Sea, the Tent of Nations in Nahalin, Bethlehem, Hebron, At-Tuwani, and Susya. We made a short description of the things we do in these places. In our journey through Israel and Palestine, this is often the first place to go to after arriving at the airport of Tel-Aviv. Generally, the eastern part of Jerusalem is Palestinian, the western part of Jerusalem is Israeli. 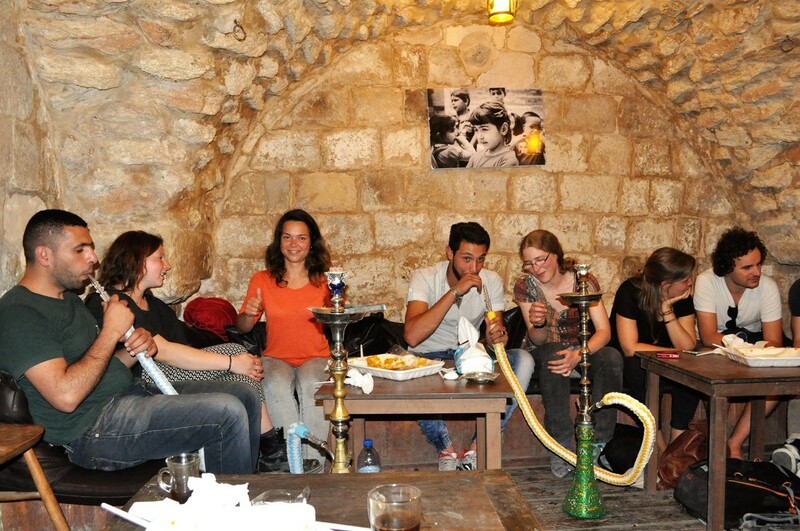 We spend our nights in the Palestinian part of the beautiful Old City, the old walled part of Jerusalem. You will experience an eruption of scents, colors, and sounds in the small streets with its countless merchants. Jerusalem also contains the most disputed square mile in the world. This includes the Al Aqsa mosque, the Wailing Wall, the Haram al-Sharif, and Golgotha, to name a few. These are all central places in (either) Judaism, Islam and Christianity. 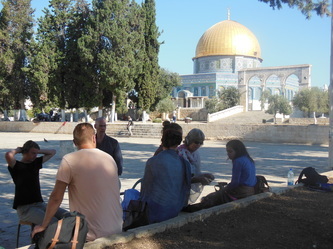 We will visit these historic places and the Mount of Olives, which offers a beautiful panoramic view over the city. We get a very different perspective by walking through the Old City with our friend Ali, who tells us about the daily life in his city. 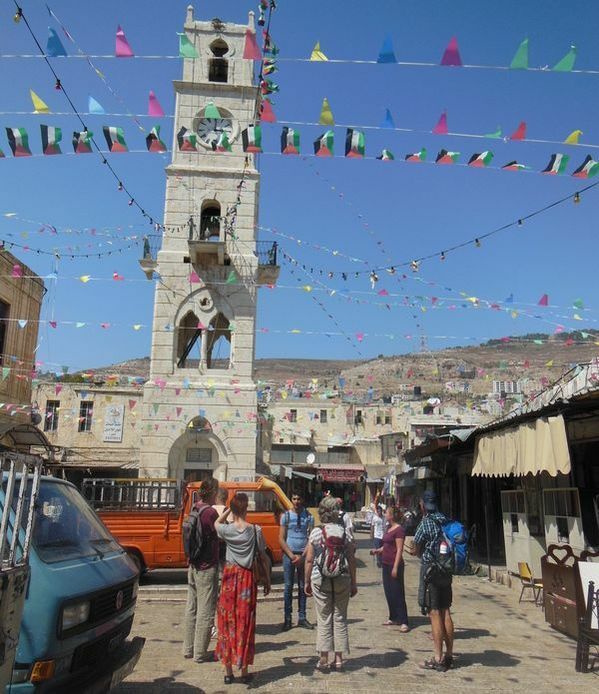 Nablus is an ancient city in the north of Palestine where its people will welcome you with open arms. Although suffering a harsh political situation and daily life, the Nabulsi are proud of their city and generously introduce you to its finest places. We do a guided tour with a local friend in the old part. Afterwards, we will visit café Trabeesh with him and other friends, where we are always immersed in delicious juices, tea, coffee, sandwiches and sweets (especially the kunafa). Expect serious conversations, not-so-serious conversations and making a lot of new friends during the nights in Nablus. For relaxation, it is possible to pay a visit to the Hammam, the ancient bathhouse. We also visit Human Supporters Association, an organization that does projects with the young people of Nablus, to deal with their situation in a nonviolent way. 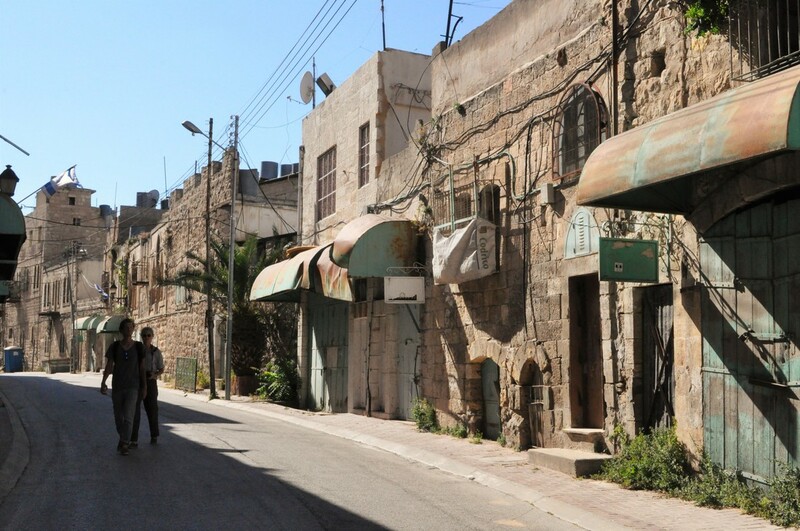 We often visit Balata, a refugee camp in Nablus. We pass by some beautiful Palestinian landscapes as we travel from Nablus to Bethlehem through the Jordan Valley. We will stop at the Dead Sea for a while. Of course, we go swimming, or rather float, on the saltiest water in the world and you can rub yourself in with natural mud. We continue the journey refreshed. The Tent of Nations is the peace project on a farm owned by the Nassar family. We will spend a few nights here, from which we visit Bethlehem and Hebron during the day. We will also stay on the farm for at least one day. These days we are going to work and help out on the farm, everyone according to their own ability and preference. For example, you might help out by harvesting, watering, planting trees, preparing food, taking care of the animals, or doing construction work. These days are also a good opportunity to relax and to think over everything that we have experienced. In the evening when it gets dark, we make a campfire, talk to each other, and hear the stories of Daoud, Daher, and Amal Nassar. A lot is happening in Bethlehem and this is manifested in the city life. Next to being an important historical attraction with a lot of tourism, it is also a city with refugee camps and a separation wall, which are often neglected by tourists. 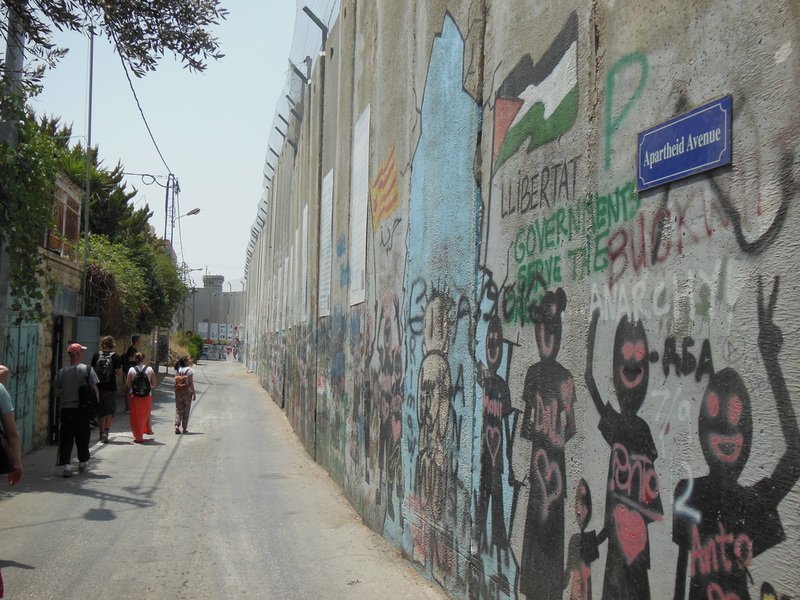 We walk along the separation wall where we see graffiti and political art as expressive forms of resistance. We visit the Banksy museum, for example. 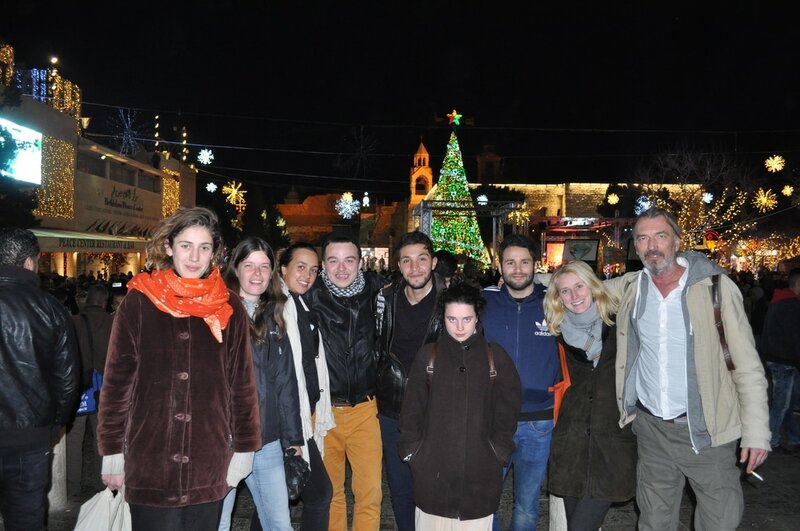 Afterwards, we’ll go through the notorious Checkpoint 300, visit the local one souk, and do a tour in Aida camp. This is a refugee camp where people have been living for over 60 years and where new generations still have to grow up. In Bethlehem, you can also visit religious sites such as the Nativity church where Jesus was born, and the tomb of Rachel. Hebron is an interesting and bizarre city. In the middle of this large Palestinian city are Jewish settlements, heavily protected by the Israeli army. There is a lot of tension between the population groups due to the settler presence. 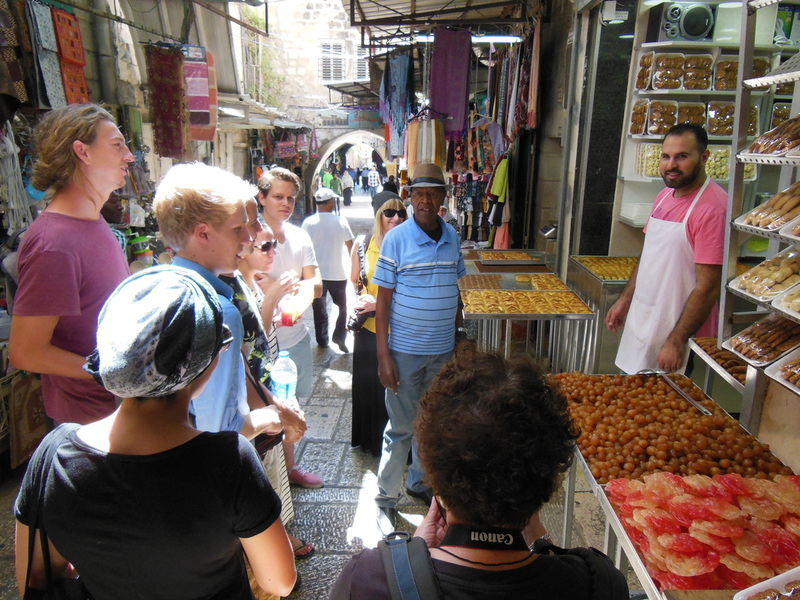 We walk through the old city center with our good friend Abed, who lives in Shuhada Street. He shows us how difficult the living conditions are in a city that is controlled by settlers and soldiers. We are also going to talk with Jewish inhabitants of the city and we pay a visit to the tomb of Abraham, the main reason for the Jewish presence. Further, a filmmaker is visited, and our friend Laila from Women in Hebron. 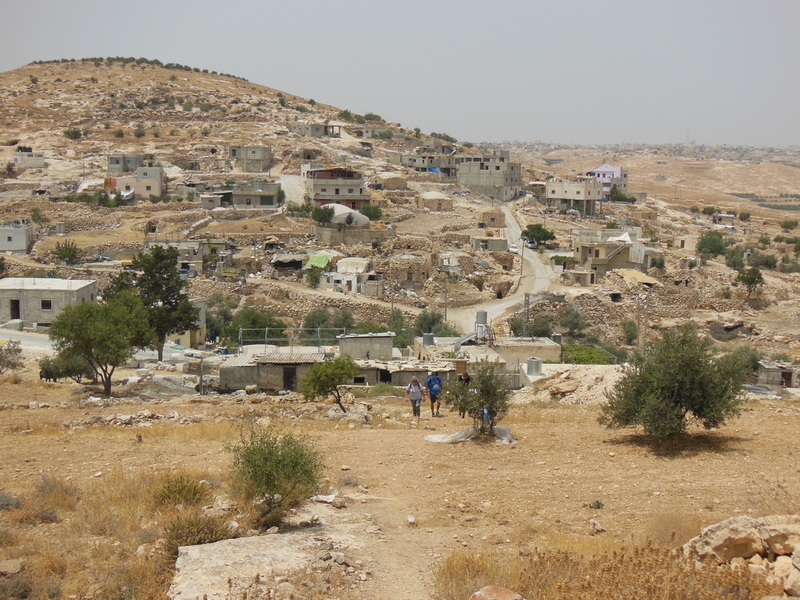 These small villages in the South Hebron Hills are under great pressure from Israel to make way for settlements. 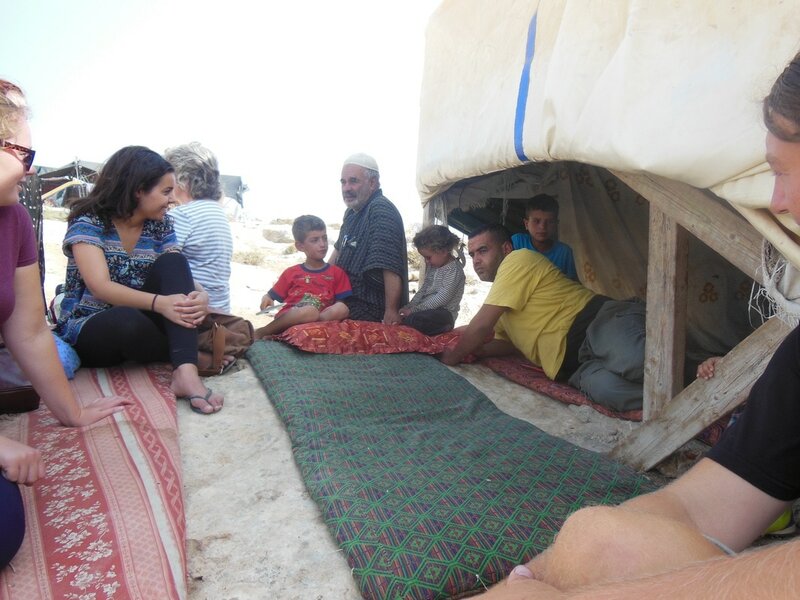 In the Bedouin community of Susya, there has been a lot of international interference which has led to much concern and for the time being, postponing of destruction. In At-Tuwani, there is a very strong farmers’ community that does everything to offer resistance in a peaceful way, initiated by the women of the village.